A dark spirit has invaded the pumpkin patch and laid claim with a claw, to one of it's innocent orange residents. Who knows what will happen on Halloween?? Wonderful, a Halloween mystery in the making. What is this “dark spirit” up to? Can’t wait to find out. In the meantime, love your composite. 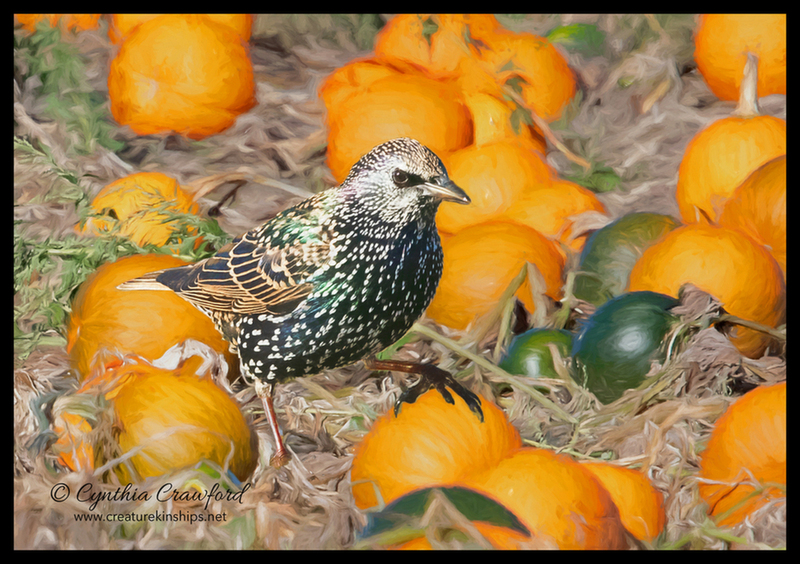 It is well composed with vivid color, and the pose of the bird, with its foot on a pumpkin, is excellent. Well done, Cindy. I really like the comp and treatment on this one. Also very festive. Nice one. Angry bird strikes again! Love the attitude and the placement of that possessive foot is just perfect. Very clever and imaginative creation, Cindy. Brilliant!